In January 2007, police and military personnel descended on the remote Mayan village Lote Ocho in the El Estor municipality of eastern Guatemala. The armed men forcefully expelled community members from land that had been leased to nickel-mining company Compañía Guatemalteca de Níquel (CGN), burning houses to the ground. Eleven indigenous women say they were gang-raped by the evictors and allege mine security staff were involved. 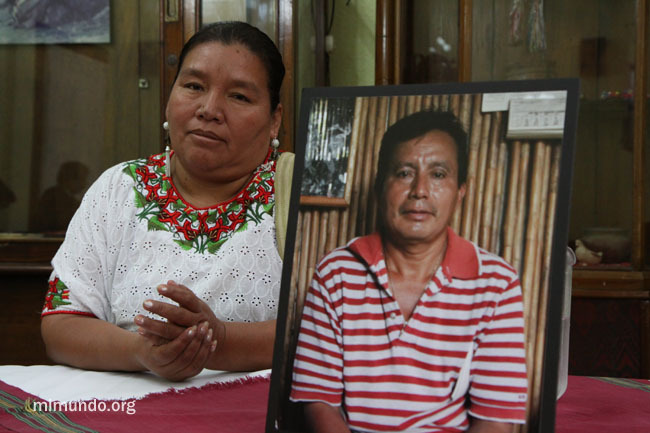 Then in September 2009, Adolfo Ich Chamán, a community leader and outspoken critic of the mine, was allegedly hacked with a machete, then fatally shot by the mine’s head of security Mynor Padilla. On the same day, German Chub, a single father with a young child, was also allegedly shot at close range by Padilla, leaving Chub paralyzed. Padilla was later arrested in Guatemala for the murder of Ich. These events form the basis of a trio of lawsuits brought against Canadian mining company Hudbay Minerals. Hudbay owned Guatemalan company CGN from 2008 to 2011, following a merger with CGN’s former owner Skye Resources. In 2012, Ich’s widow Angelica Choc, Chub and the eleven women from Lote Ocho filed lawsuits against Hudbay in Canada, citing widespread corruption and impunity in Guatemala. “With seemingly unconditional backing from the Canadian government and its diplomatic service, Canadian mining companies have been widely implicated in human rights abuses throughout Latin America,” says Jennifer Moore, Latin America Program Coordinator for MiningWatch Canada, reminding us that these are far from isolated events. However, a Canadian mining company has never before stood trial on home soil for actions committed abroad. The Hudbay lawsuits had to pass two legal hurdles before being cleared to proceed to trial in Canada. Cory Wanless, a lawyer for the plaintiffs with Toronto law firm Klippensteins, explains, “There is no question that Canadian courts can, if they want to, hear claims against Canadian mining companies for abuses committed abroad.” Instead, he says, one of the barriers is forum non conveniens, which means that when two jurisdictions could hear a case, the Canadian court has to decide which one is more appropriate. The second legal issue is that according to Canadian corporate law, parent companies cannot be held responsible for the actions of their subsidiaries. “Basically all mining companies organize themselves through layers of subsidiaries, which they do for tax reasons and also to avoid liability,” says Wanless. 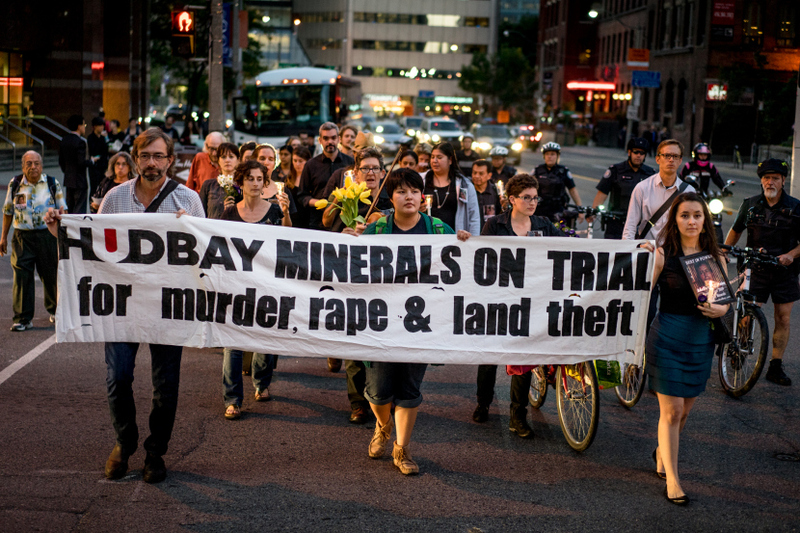 “Hudbay was arguing that the parent company should never be responsible, no matter how involved they were in the particular decisions that led to the harm.” However, Wanless counters that it was Hudbay executives in Canada who set company policies regarding mine security and community relations in Guatemala, making them responsible for the actions of local security staff. In July 2013, an Ontario court ruled that Hudbay could potentially be liable for the actions of its subsidiary, clearing the way for a trial in Canada. In total, $78 million in damages are being sought from Hudbay, equal to one-tenth of the company’s 2012 revenue. However, opinions are divided over whether the wider mining industry in Canada should be worried. The plaintiffs have opted for a trial by jury, meaning ordinary Canadians will decide the fate of these cases. “It is our belief that Canadians would never allow corporations to get away with these kinds of abuses in Canada, and will not tolerate such abuses when committed by Canadian corporations abroad,” the plaintiffs’ lawyer Murray Klippenstein said in a statement. The trial has entered the discovery phase, which is expected to last from one to two years, during which time the company will need to disclose documents related to the running of its former Guatemalan mine and Hubday executives will be questioned under oath. Grahame Russell, director of Rights Action Canada, has visited the plaintiffs’ communities in Guatemala regularly over the past decade. He says that while the lawsuits proceeding to trial offers the communities a sense of empowerment, it changes little in the short-term. “They are living in very precarious conditions and the threat of mining-related human rights violations and environmental harm is looming as much today as it was five years ago,” he says. Russell says Canadians still need to apply pressure in other areas, such as policy and legal reform, and that Canadians may be supporting companies linked to conflict through their investments in pension plans. Jen Wilton is a freelance journalist and researcher who writes regularly about global mining and human rights issues. She tweets as @guerillagrrl.